The U.S. Postal Service in Breckenridge appears to be a shambles. We arrived on vacation to Grand Timber Lodge on Saturday and discovered our U.S. cell phone was no longer valid because we had not used it for just over 12 months. T Mobile customer services bent over backwards and agreed to send us a new SIM card. It was shipped out overnight from Seattle and we were notified it was delivered to the Breckenridge PO at 12:50 p.m. on Monday, addressed to the GTL PO Box number. Someone at the PO would have signed for it but it has now apparently disappeared and despite attempts by GTL and ourselves to find it we are now leaving three days later with no SIM card. During our investigations we were told parcels had taken up to a month to be delivered and many other horror stories like items simply being returned to the sender for no apparent reason. 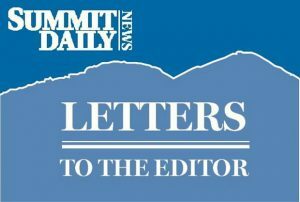 We would never use the service again, but we wonder why the people of Breckenridge don’t demand a root and branch overhaul of their postal service.